Herjavec Group is thrilled to announce that we have won two Cyber Defense Global Awards for 2018. Cyber Defense Magazine (CDM) reviews the hottest, most innovative, market-leading cybersecurity players globally, recognizing the top one hundred firms worldwide. Submissions into CDM’s Global Awards are reviewed by an unbiased panel of certified security professionals (CISSP, CISSP, FMDHS, CEH) who vote based on their independent review of the submission package, corporate website, company product literature and thought leadership. Herjavec Group’s winning Identity Service offering is focused on transforming an organization’s access requirements into an information advantage. We accelerate the pillars of your identity program: (i) Governance & Administration, (ii) Privileged Access Management, (iii) Access Control and (iv) Identity Managed Services. Herjavec Group supports the Assessment, Design, Deployment and Management of your identity solutions. Herjavec Group is 100% laser focused on cybersecurity services with comprehensive expertise in identity roadmap development, consulting and identity managed services. We are a vendor agnostic service provider with a track record of success in complex, multi-technology environments including within the financial, legal, utilities, retail, health & gaming sectors. We embrace customized solutions to meet our enterprise customer needs. We are highly certified across vendor and cybersecurity specific certifications & accreditations. Our foundation as an MSSP sets us up for success in behaviour-based Identity governance and Identity Managed Services. 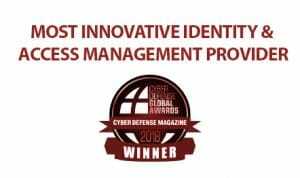 We’ve been recognized industry-wide for our expertise in Identity Services – #1 on Cybersecurity 500, IDC Security Services Leader and as an Innovative Leader in Identity by the Cyber Defense Magazine Global Awards. To learn more about Herjavec Group’s Identity Services, click here. Herjavec Group focuses on solving the industry’s greatest challenge – a severe cybersecurity labor shortage – by leveraging custom-built solutions, including our Herjavec Group Threat Framework and Herjavec Group Analytics Platform, to apply threat modelling and use cases at the SIEM level in order to minimize the time and resources required to detect, escalate, analyze, and investigate threats in your environment. We Do Security – And only security! To learn more about the breadth of Herjavec Group’s Managed Security Services practice and operational workflow, click here. To review the complete Cyber Defense Global Award 2018 winner’s list, click here. 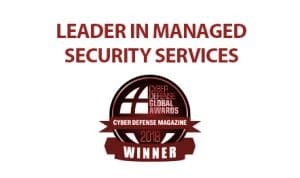 Earlier this year, Herjavec Group was also named a 3-time Cyber Defense Magazine Infosec Award Winner for our leadership in cybersecurity operations across North America. Learn more here. This is Cyber Defense Magazine’s sixth year of honoring cyber defense and information security innovators. Our submission requirements are for any startup, early stage, later stage or public companies in the INFORMATION SECURITY (INFOSEC) industry who believe they have a unique and compelling value proposition for their people, products and services. More information is athttp://www.cyberdefenseawards.com/ The judges are CISSP, FMDHS, CEH, certified security professionals who voted based on their independent review of the company submitted materials on the website of each submission including but not limited to data sheets, white papers, product literature and other market variables. CDM has a flexible philosophy to find more innovative players with new and unique technologies, than the one with the most customers or money in the bank. CDM is always asking “What’s Next?” so we are looking for Next Generation cyber defense people, products and services.